When someone suggests you talk to your doctor, remember to take them literally. Recent research suggests a strong correlation between malpractice suits and poor doctor-patient communication. In many respects, this makes intuitive sense: from managing expectations to avoiding complications, making sure patients understand their medical situation and treatment plan is critical to ensuring better outcomes. While malpractice suits can be brought for a variety of reasons, quality communication can mitigate many of them (with the obvious exception of simple human error, always a risk in medicine). It is clear that improving communication creates a better patient experience and better health outcomes, collectively reducing the likelihood of a lawsuit. Less clear is the role electronically mediated communication will play, for better or worse, in getting patients on board with their doctors. Electronic Health Records (EHR), while mandatory and nearly universal, are still the subject of much discussion and controversy. Aside from the cost of initial implementation, making the ongoing gestures toward achieving interoperability present steep financial challenges even for facilities determined to stay on the cutting edge. Then of course, there is the learning curve for experienced caregivers having to accommodate a whole new pattern of taking notes, consulting across departments, sharing and retrieving records—all on top of an already taxing commitment to continuing education. Given all the known and emerging practical challenges surrounding adoption of EHR platforms, the question of how they will impact the consultation (and, by extension, rate of malpractice suits) deserves some consideration. 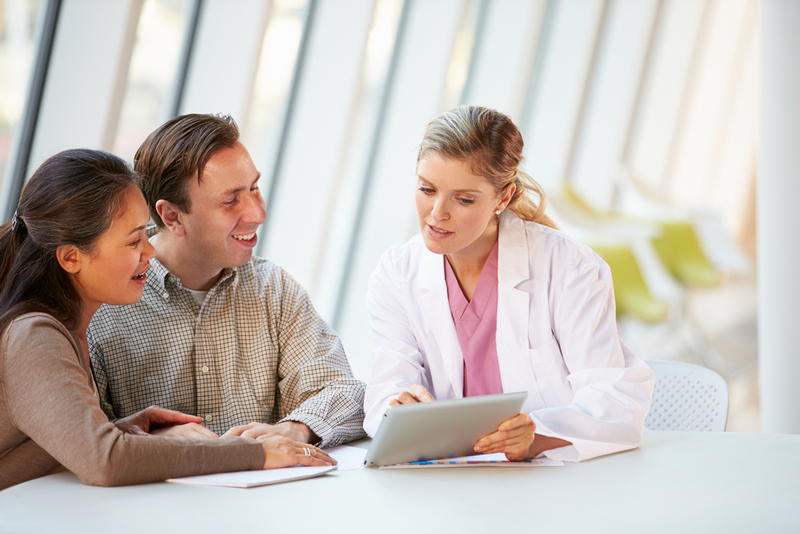 Will EHRs help or hurt doctor-patient communication? To what extent does the electronic record show that patients should have known better, that doctors performed due diligence, and that increasingly expensive “defensive medicine” can be avoided as unnecessary to avoid lawsuits? One of the biggest factors influencing the answers to these questions is more demographic than technical. With longer lifespans intersecting with the entry of Baby Boomers into their senior years, the main demands on America’s medical industry are increasingly coming from older patients. But, just as EHRs are still in their early stages of implementation and functionality, the majority of patients come from the part of the population least capable or comfortable when it comes to digital interfacing. Resistance to wholesale adoption of technology is not a feature unique to Boomer patients; the demands of Meaningful Use regulations have practicing physicians frustrated as well. The modern health industry, crowded with obligations to policymakers, lawyers, administrators, is asking overburdened professionals to now work through the bugs and shortcomings of digitization. Experienced medical professionals have to change old habits to accommodate new systems and technology, without it even necessarily performing as promised. Hospitals and doctors who embrace the revolution struggle to get patients to do the same, finding that the possibilities presented by EHRs and internet connectivity don’t automatically generate engagement. The new ways to reach patients outside of the clinic also doesn’t change the 15-minute consultation; in fact, many doctors (and their patients) are irked by the intrusiveness of the computers now necessary for recording their face-to-face time electronically. Between the tenuous state of modern EHR platforms, institutional resistance to the added burdens of integrating new (and often untested) technology, and the limitations of older patients, it seems unlikely that improving communication will result from the new means of sharing and exchanging health data online. Even so, younger doctors and medical students are experiencing markedly less friction in integrating tablets, EHR platforms, and other modern technological trappings into their care delivery process. Quite the contrary: medical students fully embrace, even demand, more digital tools as part of practicing 21st Century medicine. Likewise, Millennial patients and digital natives—a growing population segment destined to overtake Baby Boomers in coming years—have less difficulty or apprehension in taking instructions and sharing their personal data through electronic interfaces. While the digital revolution may not extend to healthcare communication in this first wave of digitization, it does seem destined to play a greater role as digital natives achieve dominance in the populations of both patients and caregivers. But that doesn’t really answer the question of whether quality time in face-to-face consultation can be effectively replaced by digital communication, and whether online record-sharing will yield improved medical outcomes, and help avoid malpractice suits. For all the fanfare over digital integration, sharing more information more easily with patients doesn’t instantly transform the sorry state of health literacy in the States. With 9 out of 10 adults struggling to comprehend the health information they receive, increasing access online matters less than establishing understanding. Millennials may expect sophisticated patient portals and handy health apps, but it doesn’t turn them into medical experts. Ultimately, communication can’t succeed without understanding. This still leaves a lot of pressure on traditional consultations, a matter of asking the right questions and making eye contact (as opposed to staring into screens) to ensure communication is working on both ends. While younger doctors may be more comfortable with balancing technical savvy and the human element, that balancing act looks set to continue until more patients gain a stronger health literacy foundation. Judging from the enthusiasm of techies and developers, we’ll soon have an app for that, too.